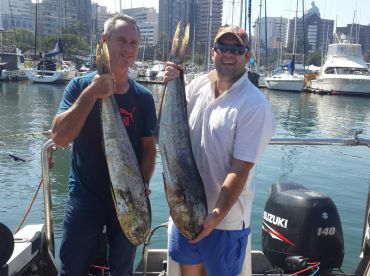 When deep sea fishing Durban charters head out, they go for serious game. 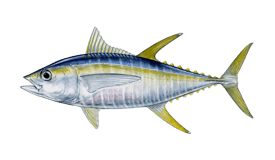 You can get some impressive Marlin, Yellowfin Tuna, Sailfish, Mahi Mahi, Wahoo from December until June. Some of the finest fishing takes place here, miles offshore. Many tourists and locals join the chase and enjoy the view and the fight. Over the years, records have been set and smashed. You could easily be reeling in the next big thing. Durban faces the warm currents of the East Indian Ocean almost year round. The species come and go, making fishing consistent year round. 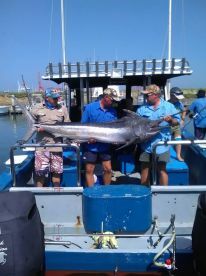 You might not always be able to catch your dream Billfish, but you can certainly get hold of other hard fighters. Tuna are a major fish here. They are available throughout the year. 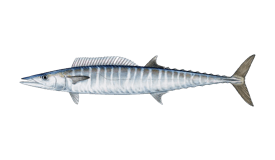 From November to May you can scout around for Mahi, Wahoo, Giant Trevally. In summer, fisheries are abundant, and a full day trip can easily get you to the fishing grounds and leave you time for fishing. The big names swim and feed already at a 10 mile mark. If you want bigger game, you can always head out even further. 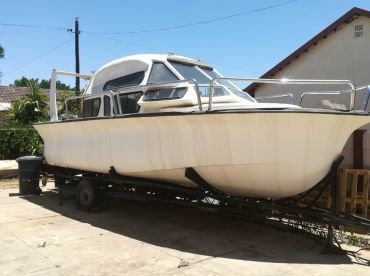 There is a wide variety of Billfish around Durban. 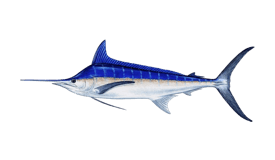 You can get Black, Blue, and Striped Marlin, Sailfish, and for the veteran anglers - Swordfish (locally known as Broadbill). The best months for Sailfish are September to January. You can get Marlin any time during the summer, but December-April proves to be the best. 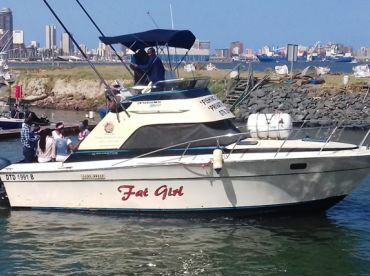 One look at the photos of deep sea fishing Durban charters, and you can easily image the drag growl. Durban is one big playground with a lot of possibilities to get the next dream catch. What can I expect from a deep sea trip? Generally, an hour ride from the harbour should get you to the finest games fisheries. You can then spread the lures, and go trolling as you look for the birds. All eyes will be set on the water surface as no one wants to miss the drag action. If you don’t have the skills, don’t worry - many of the local captains will brief you on how to join the action. The seas may be choppy, so think of bringing your motion sickness medication. 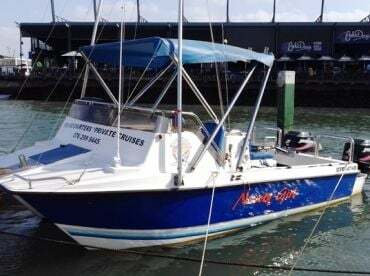 "First deep sea fishing experience a great one! " The sea was rough, turned me inside out. But what a great morning of deep sea fishing! It was the first time for our group of 4, but Mike and Kurt were great! They got us onto some good Oceanic Bonito, landing the majority of them. Professional setup with quality gear. These guys know what they're doing, which put us at ease. Thanks for the great trip guys, we'll be back! 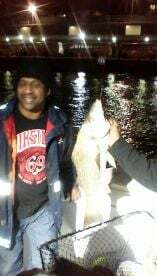 I have been fortunate enough to be fishing with Mike on numerous occasions over the last 10 years. 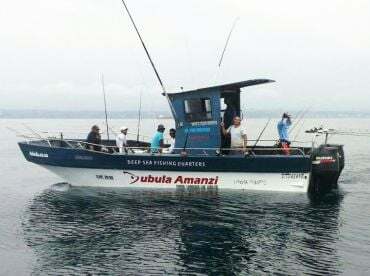 These trips have ranged from fishing the backline of Durban to 10HR deep sea game fishing trips. Mike and crew comes highly recommended. Equipment is always extremely good.